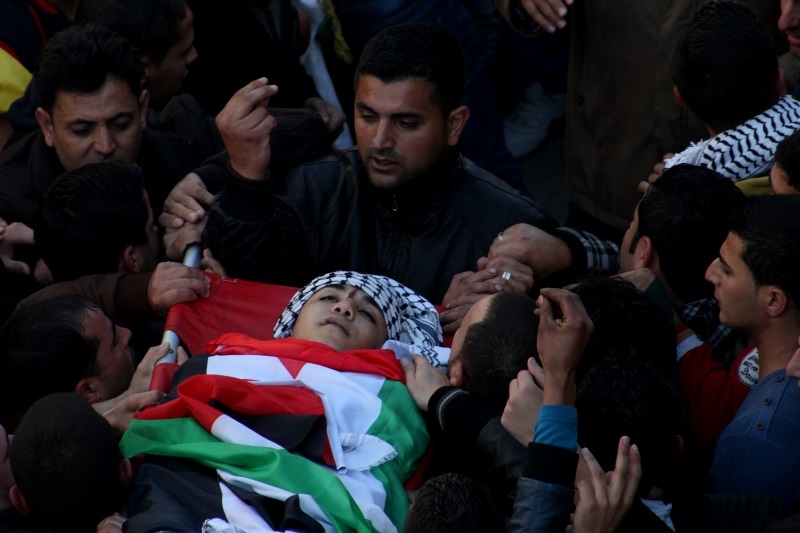 Before the year 2014 ends, Palestine buries yet another martyr. A child. 16-year-old Imam Jameel Ahmad Dweikat was murdered by a publicly unidentified Israeli occupation soldier yesterday (29 December) near his village of Beita, in Nablus area. A single bullet entered his body from the back and went out through his heart, according to a doctor. The boy was on his way home after a school exam. That same occupation soldier injured Imam’s best friend Nael Talat Thiab in the leg with live ammunition. Recounting what happened, the boy said he and Imam had just finished an exam at school and were heading home when they decided to visit a nearby park with a swimming pool. They saw Israeli soldiers hiding between the olive trees but did not try to run away: “We were not doing anything wrong.” They then heard shooting, 4 times; when Nael turned around, Imam was on the ground, bleeding. Then Nael got a bullet to his leg but managed to escape and was brought to Rafidia hospital in Nablus for treatment. Meanwhile, Israeli occupation army prevented Palestinian ambulances from coming near Imam; they also confiscated cameras from Palestinian media who had arrived at the scene. Imam is the 50th Palestinian murdered by the Israeli occupation army in the Palestine area of the West Bank this year; more than 2,000 were slain in Gaza during Israel’s genocidal assault this summer. Imam’s mother now has four children, two girls and two boys. May her son Imam rest in peace. 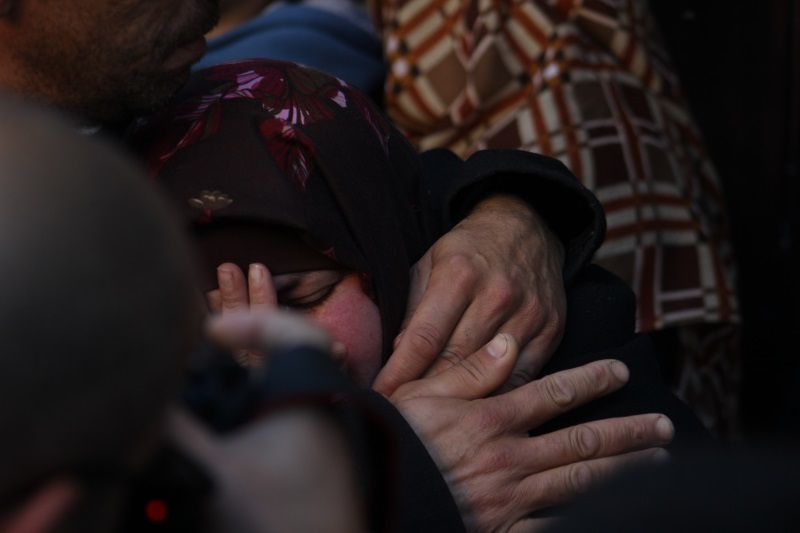 Imam’s mother after her son’s body was taken to the cemetery in Beita village for burial. Imam Dweikat, 50th martyr in the Palestine area of the West Bank in the year 2014. He was 16 years old. 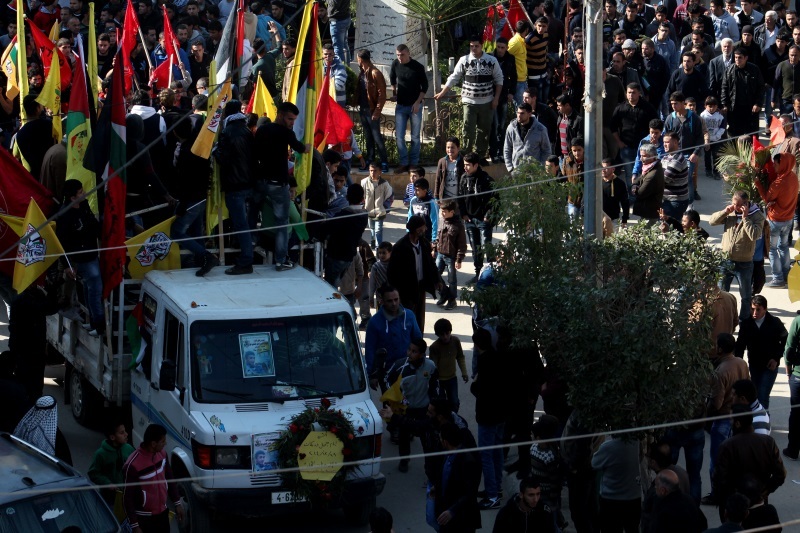 Hundreds of Palestinians gathered in the village of Beita to lay rest shaheed [martyr] Imam.